Holley offers fuel rails for a broad range of customers. They have OE-replacement high-flow fuel rails for GM LS engines, as well as fuelrail kits that are direct bolt-ons for all of the Holley EFI intakemanifolds. 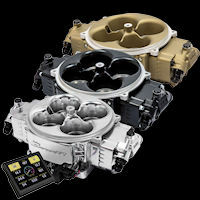 Or, if you are in a position where you have to build your own fuel rail system, Holley offers virtually every component you couldpossibly need to get the job done right. EFI Fuel Rail Kit for 300-136 GM LS Gen III LS3/L92 Single-Plane Intake Manifold..
LS Hi-Flow Holley Fuel Rails - Fits LS7 factory intakesNote: : To be used with factory injector..
LS Hi-Flow Holley Fuel Rails - Fits LS7 factory intakesNote: : To be used with Holley Performan..
LS Hi-Flow Holley Fuel Rails - Fits LS7 with factory injectors. This is the same kit as the Holley ..
LS Hi-Flow Holley Fuel Rails - Fits LS7 with Holley injectors. 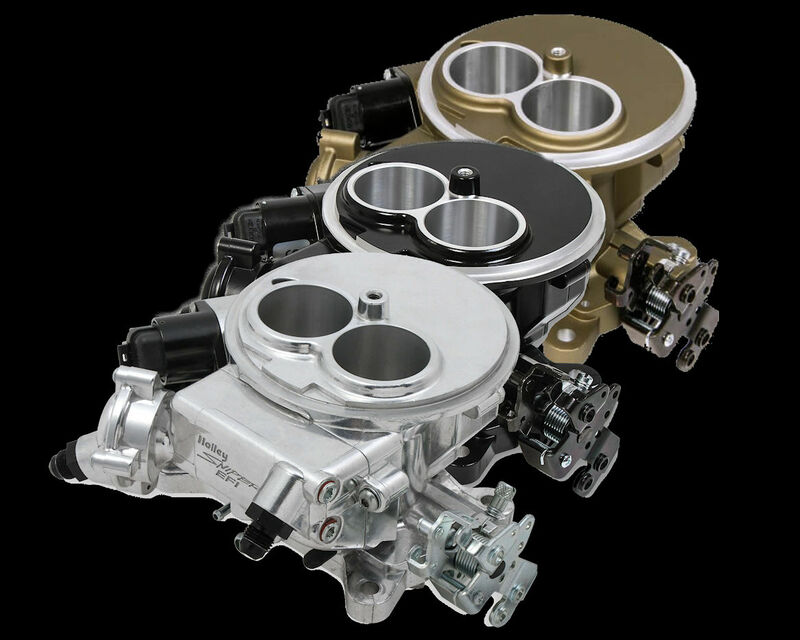 This is the same kit as the Holley 5..
EFI Fuel Rail Kit for 300-137 LS Gen III LS1/LS2/LS6 Single-Plane Intake Manifold.. This fuel rail kit is specifically designed to work with the Holley GM 2x4 dual plane manifold. Work..
LS Hi-Flow Holley Fuel Rails - Fits LS1, LS2, LS3, LS6 & L99 factory intakes. This is the same kit .. 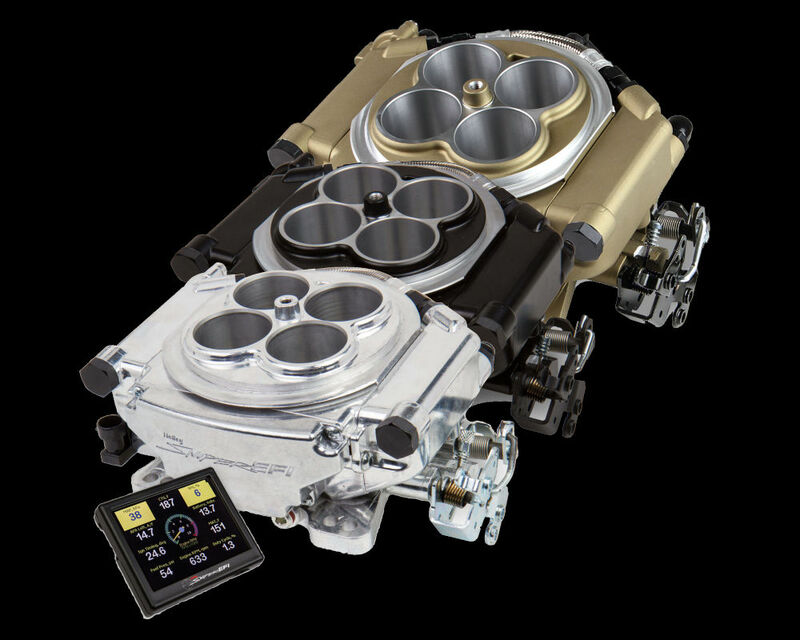 This aluminum billet spacer makes it so easy to add up to four supplemental fuel injectors to your 4..
LS Hi-Flow Holley Fuel Rails - Fits LS1, LS2, LS3, LS6 & L99 factory intakesNote: : LS2, LS3, a..
EFI fuel rails are machined for –8AN O-ring Fittings with passages large enough to accommodate high ..
Fuel Rail Kit, LS1 for Dual-Quad and cathedral port Hi-Ram.. Bright clear anodized, extruded aluminum universal fuel rails. These machined aluminum EFI fuel rail..
AN-8 6061-T6 aluminum hi-flow fuel rail extrusion for the fabrication of custom fuel injection syste..
Works on the following Holley/Weiand Big Block Chevrolet intakes:300-561 for Oval Port Heads wit..